Today Commissioner and Director of School Education Released Proceeding for intermediate admissions into Telangana Model School All seats for 1st Year for the Academic Year 2019-20. No fee will be collected from students. Pucca buildings are constructed for Model Schools. Supply of free text books to all students of Intermediate. Seats will be filled up as per reservations rules as stipulated in G.0.Ms.No.24 Secondary Education -Prog.-ll Dept, dt. 1 0.06.2016. Hostel facility available for girls in 126 Model Schools. 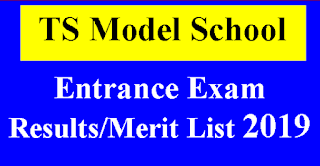 Admission into intermediate I year shall be based on the marks /Grades secured by the candidate in the qualifying examination i.e. SSC or its Equivalent and as per reservation as shown below. i. Physically Challenged students: 3% (in the reservation group of the students). ii. 33.33% seats shall be reserved for Girls in all categories as indicated in Clause 4(vii). iii. If sufficient number of candidates of any particular category are not available to fill up the seats reserved for that group, they may be filled up by suitable candidates as indicated in Clause 4(x) of G.0.Ms.No.24, dt.10.06.2016. a. The candidate has to fill in the application in the website https://telanganams.ggg.gov.in. b. Candidate has to login to the website. open the application form and fill all necessary1letails as given in the online application form. They have to upload the photograph and signature. c Before submitting online application candidate should ensure that all the details are filled and submit the application, take the print out of the filled in online application. (1. Filled in online application along with enclosures i.e. copies SSC marks sheet caste certi‘icate, Adhaar Card and submit to the Principal concerned as per the admission schedule given. e. The candidate should be native of that Mandal by virtue of domicile or he/she should have studied 9th or 10th' Class in that Mandal. f. The Principal will form a committee at school level with PGTs of concerned group and verify the certificate marks / grade secured in SSC and prepare provisional selection list. g. While preparing selection lists, a waiting list of 20% seats also shall be prepared and candidates will be admitted in the order of the selection list from the waiting list for the left over vacancies from the selection lists. h. The selection list should get approved by District Collector or his nominee through DEO. i. 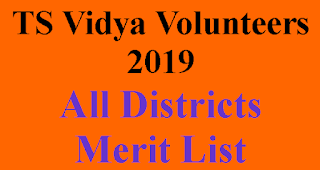 The selection list should be displayed on the notice board of the school alter approval by District Collector. j. The Principal of the Model School of the Manda] shall take steps to admit selected students duly verifying the certificates and maintain Admission and Withdrawal Register for the School. and further if any seats are left over it may be given to students of other Mandals.